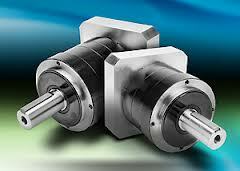 Automation Direct has released their new line of precision gearboxes for servomotors. The “SureGear” family provides the ultimate in flexibility and control for servo applications. This PGA series of high-precision planetary servo gear reducers is an excellent choice for applications that require good accuracy and reliability. This in-line planetary servo gearbox has a thread-in mounting style, along with a level of precision and torque capacity that is superior to others on the market. Designed as a cost effective solutions for Original Equipment Manufacturers (OEM), these are offered in a concentric shaft design with a maximum five arc-min backlash rating. Accuracy and high performance are the key characteristics of this gearbox. The machining quality of the SureGear PGA helical planetary gears provides a very quiet and more efficient reducer than other competitive products that are similarly priced. SureGear PGA series planetary gearboxes easily mate to SureServo motors.